"Tips and tricks” to grow your business and improve your profits. How to charge the right price for your products and services. Pros and cons of working with social media in your business. 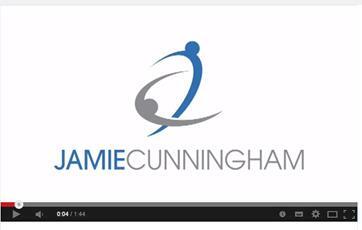 Jamie Cunningham has extensive experience coaching over 300 businesses internationally in improving their daily practices. Additionally, Jamie began his career with 10 years experience managing his family-owned multi-format digital and screen printing company. With his multi-faceted experience in the industry, the SGIAA has invited Jamie to give a talk focussing on accessible growth tools for both small and large graphic businesses. After 10 years working in the print industry, Jamie moved to Canada, where he worked in a series of small businesses. He soon found his strength in developing strategies for business growth, and before long, Jamie purchased his own ActionCOACH franchise to offer this advice professionally. In just 3 short years, he was awarded the fastest growing franchise globally. Jamie has since worked in partnership with other coaches but now primarily runs his own training and mentoring programmes you can find details on at: www.jamiecunningham.com. Details: "How to Successfully Grow Your Business"
RSVP: info@sgiaa.asn.au by Friday 25th July, 2014. Prior to the talk tea and coffee will be available in the meeting room upstairs. Drinks will be available to purchase separately, downstairs from the bar. We want to know about the common (and not so common) concerns our members have about their businesses. What factors do you see hindering your company's growth? What kind of challenges would you like to see discussed? To get involved, send your question to info@sgiaa.asn.au.